Against her better judgement, India has turned up at the picnic auction and MacFarlane has bought her picnic basket for the outrageous sum of $1000. She disturbs him, affects him like no other woman he has ever met and he wants to remind her who the alpha male is in these parts. But India isn’t easily crushed. They both discover that there is a thin line between anger and sexual arousal. Time, India decides, to redraw the boundaries. September 17th – Take Me, I’m Yours is awarded best seller ticket. Jazzy Books included an extract: Logan MacFarlane has a wild streak, one hidden beneath a business suit and a smooth manner. From the moment of their first meeting, India Buchanan has got under his skin and destroyed his composure. They have crossed swords and exchanged hot words over the ownership of her aunt’s house. A house MacFarlane wants but which India has vowed will never be his. They are about to meet up at a picnic auction and MacFarlane is determined to show India just who calls the shots in MacFarlane’s Landing. September 18th – Ali – the Dragon Slayer “I went into it unprepared for the immediate sizzle factor, within minutes my latest book boyfriend had appeared. 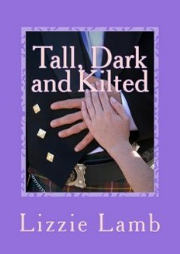 Good grief, Logan MacFarlane had sparked my interest and the heat and tension increased rapidly. Damn, was he hot!? September 19th Another extract, this time from Cheeky.pea India Buchanan has had a peripatetic childhood due to the fact that her parents and career diplomats. She’s spent the summer with her English cousins, the winter with her great-aunt in Wisconsin and the rest of the time in boarding school, university or improving residential camps. Now she wants to put down roots, to belong – and to open up and English-style bed and breakfast in her aunt’s old house. Unfortunately, the ownership of the house is contested by Logan MacFarlane . . . a man used to getting what he wants. Rae Reads commented: If you love stories set in small towns with warmth and romance then I can recommend picking up a copy of Take Me, I’m Yours! Entertaining, romantic with some very sizzling chemistry between the characters. Four stars from me! I loved that Julie Ryan drew parallels between the Buchanans/MacFarlanes and the Capulets and Montagues – warring families indeed. 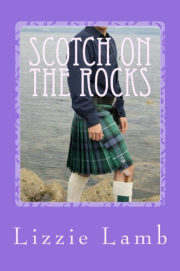 And that she added in her review, I’ve read a couple of Lizzie’s books set in Scotland but this one has the best of both worlds, being set in Wisconsin albeit with a strongScottish thread running through. 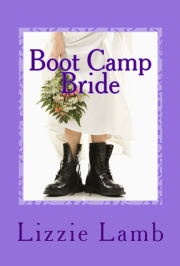 Thanks to Rachel Gilbey for working so hard to make the blog tour a success and everyone who tweeted, commented and shared. Next week, it’s back to the drawing board for me as I map out my next novel: Scotland, family secrets, romance, astronomy, comets and an unexpected twist in the tale. Posted on September 22, 2018, in Lizzie's Scribbles. Bookmark the permalink. 20 Comments. That’s brilliant, Lizzie! Well done, everyone. I never tire to read about you and your fabulous novels. Great to hear that you’ll be working on your next story, and what a story! It looks like I’m going to love it. Favourite character, supplier of prosecco and parmesan and wonderful friend. Not to mention (clears throat) dedicated reader. Thanks, Isa. Have a great weekend. Thank you for all the help you gave me when I was writing TMIY – even if you are three hours away by jet plane. Thank God for t’internet. Wowee – what an achievement, .Take Me I’m Yours’ on which, goes without saying, the majority verdict is: a fabulous read, written by an author as indefatigable as her engaging characters. And the Blog tour, exhausting but rewarding, an exemplary demonstration of how it’s done. Well done, Our Lizzie (said in a Scottish accent). Thanks Mags. The blog tour was exhausting but rewarding. I suppose I didn;t have to comment and promote on social media but I thought, its only for a week, make it happen. And oddly enough, my grandmother was always referred to as Oor Lizzie – LOL. See you soon. Wow, Lizzie! What a roller-coaster of a ride. A real variety of blog posts – all so entertaining and original. Have loved reading them. Looking forward now, to your next book. Thanks June. (rolls up sleeves) I’m ready to get down to the next one. I’ve taken on board the comments of bloggers and readers (and my 90 year old mother in law). I’ll share my thoughts with you over a cup of coffee very soon. Reblogged this on New Romantics Press. Thanks June, I hope it looks good on our other blog. Many thanks for the reblog, Nell. Thanks for dropping by, Adrienne. I feel that Take Me, I’m Yours is well and truly launched now. Time to give all my other books a bit of a shout out and get stuck in to the new one. Great to read all the posts on your book Lizzie.. You are a true inspiration to anyone who wants to make it as a published author. Such hard work and dedication. Looking forward to the next one! Will be driving you bonkers soon Joan with ideas for next novel to see which ones float your boat. You are a very astute reader as well as a great mate. It was a pleasure to organise your tour and to work alongside you. So please with all the great reviews we got over the week. What a fabulous week of accolades and so well deserved. I bought the book. Thanks for buying the book Jessie and for all the support you’ve given to this and my other books, too. Take Me, I’m Yours won’t be 99p for a long time so I’m so glad you were able to download it. Good luck with your writing, too. Hi Jan, yes – I was very lucky to have such great bloggers join in on my tour. Rachel did a great job of finding them for me. I’ve contributed to an article in Writers’ News (October) all about blog tours, I’ll be interested to see how it turns out. Thanks for dropping by and good luck with your writing, too. I’m dying to know what happens next.